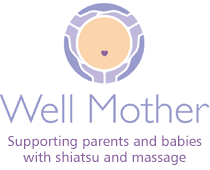 We’re thrilled to launch our new website, wellmother.org. We have moved all the blog posts on this blog to the new site and hope to see you there! For this reason, we have stopped paying for the no ads feature on this site: but if you go to the new site there will be no ads. On the new site you will also find more information about Wellmother and our online courses, face-to-face training and brand new blogs, news and stories: please visit wellmother.org.